The OFCCP is back in business and looking for work! As soon as the government shutdown ended most of us within the recruiting world braced ourselves for the inevitable crackdown on employment regulations. We had heard for months that the Department of Labor, EEOC, and OFCCP were going to get serious about enforcing their new rules and regulations, and now those mandates and definitions are firmly in place. Consider this: Ten years ago in FY 2004 5% of all compliance reviews ended with a “Technical Conciliation Agreement” (TCA). But by FY 2013 30% of all compliance reviews ended with a TCA. Approximately 60% of all those TCAs included violations for a lack of “Good Faith Efforts” (GFEs). Meanwhile more than 1200 new field agents have been hired, most of which will likely be compliance auditors. This shows that the OFCCP is serious about enforcement, and that so-called “Good Faith Efforts” are more important than ever. But what exactly are Good Faith Efforts? The OFCCP has yet to establish clear baseline metrics for acceptable GFEs, only that they are made to “remove identified barriers, expand opportunities and produce measurable results”. This means that GFEs, this now increasingly important element of your corporate AA / EEO plan, are essentially subject to the interpretation of the field auditor. But that’s not all! Remember that under CFR 60-2.17 action oriented programs must consist of more than “following the same procedures which have previously produced inadequate results”. The same old trick-and-pony show to get the auditors off your back won’t cut it anymore. And with more field agents out there in droves looking to find new violations, you need to step up your compliance strategies up like never before. Good faith efforts are vague at the moment, so don’t skimp! Make sure your compliance strategies are bulletproof when it comes to minority community outreach and recruitment efforts. Target not just one, or two, but as many key minority groups as you can (African-Americans, Hispanics, disabled, veterans, women, Asian, etc.) through community specific resources. Make use of web sites that reach into the targeted community and can be utilized for job postings. If you use a third party make sure that they keep records of your outreach and postings (screenshots are accepted by the OFCCP). If you do use job board websites to recruit from targeted minority talent pools, consider using those websites for greater community outreach exposure as a whole. Why not address two issues with the same solution; it provides better ROI in the long-run! Equality Magazines.com and its family of Diversity Recruitment Vehicles have been at the forefront of minority recruitment and compliance. Since 1997 they have been advocates of promoting diversity in America’s workforce; bringing the vast and talented pools of Veteran, African American, Hispanic, Female workers to the companies that need them. 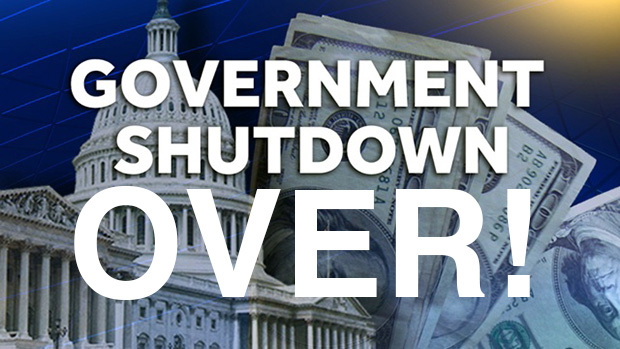 https://equalitymagazines.com/wp-content/uploads/2013/11/government-shutdown-over.jpg 349 620 themainAdmin https://equalitymagazines.com/wp-content/uploads/2018/10/logo-header-03-300x101.png themainAdmin2013-11-05 23:58:162018-10-25 03:31:10The OFCCP is back in business and looking for work! Always Hit Your Target Recruitment, Best Practices, Compliance, Oh MY!